So the second week of spring is full on. It is early April now, and three out of four of the cherry trees are in bloom. The Morello cherry tree hasn't flowered yet and I don't know if it will flower - fingers crossed. I bought it this winter and its the only cherry tree that is in a pot. 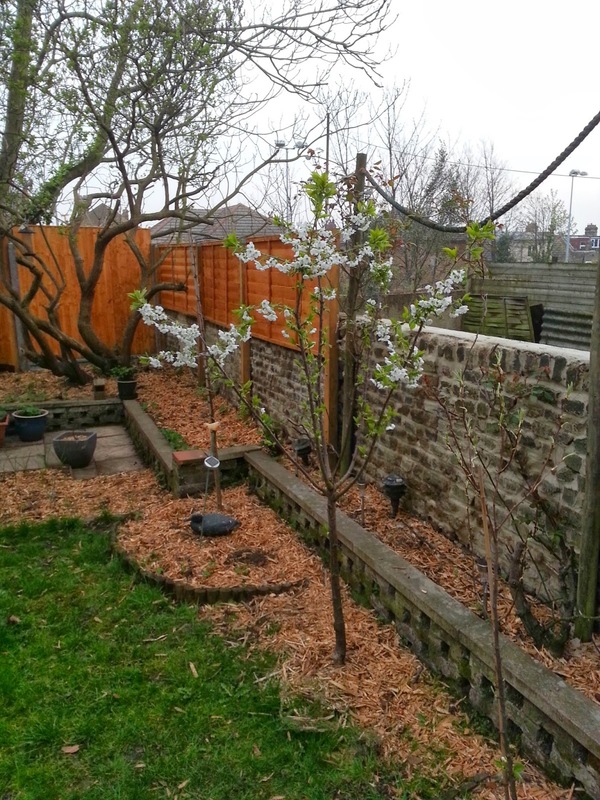 Every time I ask myself why I bought so many cherry trees all I have to keep in my mind is the cherry blossom. Also there can't be an easier tree to grow in England. 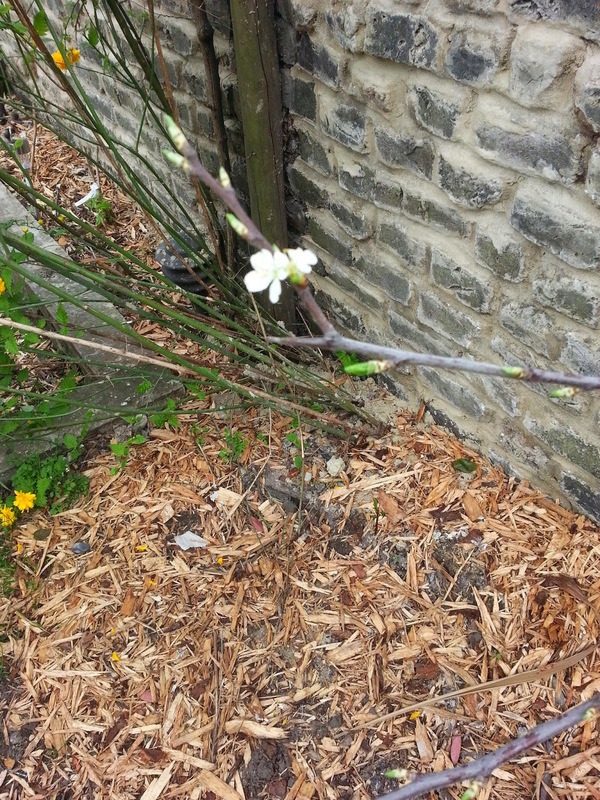 Another tree that is flowering but not in a dramatic way is the Victoria plum. I can see now two lonely flowers. But this is the first year that I planted the tree and I am confident that next year it will do far better. The pear tree is another spring surprise. For the first time - the second year after purchase, I can see flower buds! Only a month ago I was doubting that I would ever see any flowers. I am not exactly the patient type. 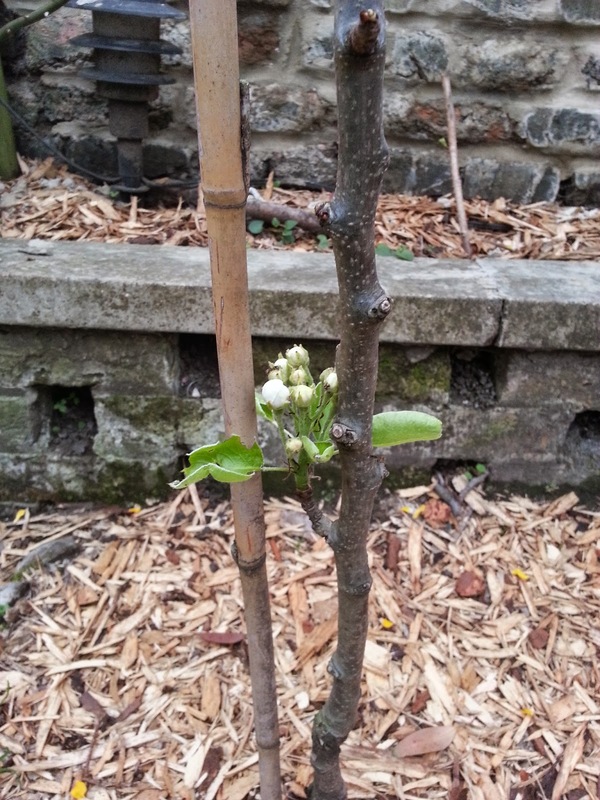 On other developments in the backyard orchard. 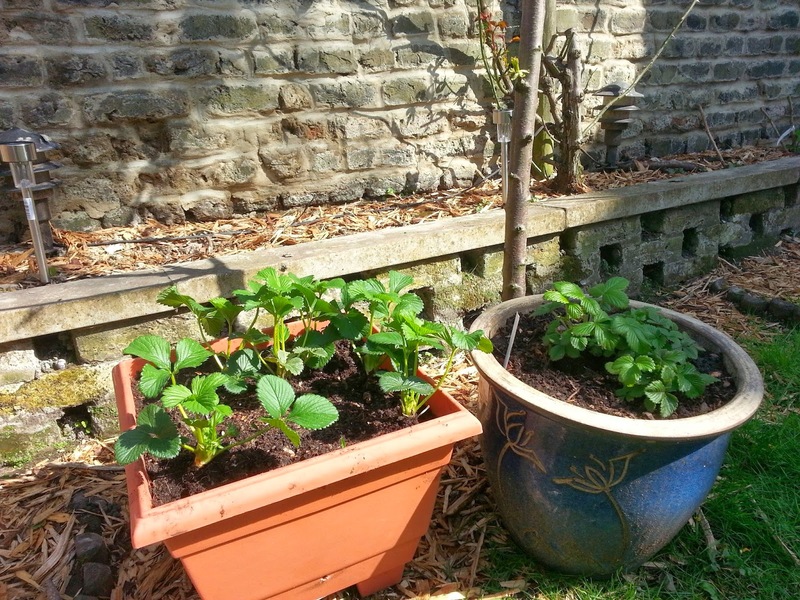 The strawberries plants that I planted a couple of weeks ago have been half eaten. The other half is ok. I suspect slugs - the strawberries that suffered the most are at the ground level. The strawberries in the raised bed are almost intact. This past weekend I went on a trip to B&Q and saw some really healthy looking Elsanta strawberries - and couldn't resist buying them. I have placed them in a pot rather than planting in the ground. Proud to say that they are doing really well so far - i.e. not yet eaten by slugs. If you know the answer please let me know. The cherry tree looks really nice and healthy. I planted mine yesterday, but I guess I will have to wait to see whether it also going to be happy in my garden. Thank you. My garden is north facing and the tree is doing very well. 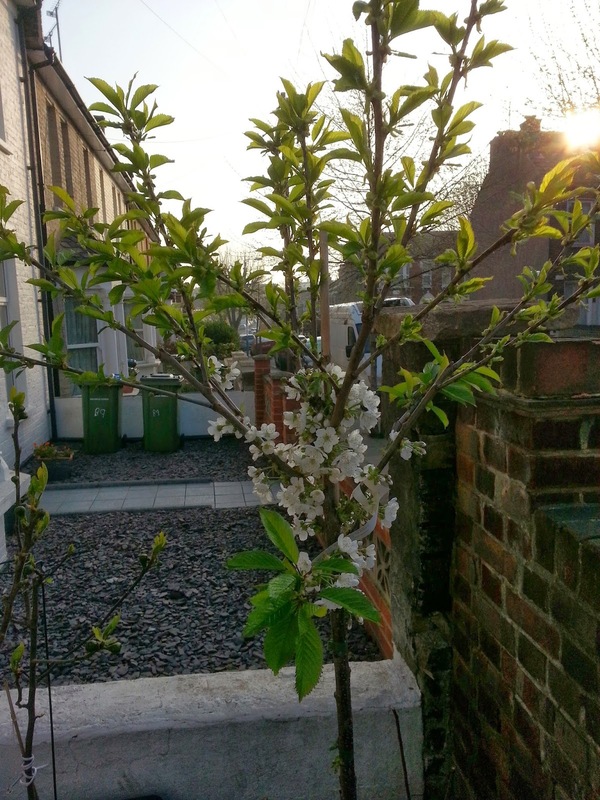 I think Cherry trees really grow well in England. In a year or two you will be enjoying the cherry blossom and maybe the cherries if the squirrels and birds allow. Good luck.